The recycling symbol below has been redesigned to interest young children and it is based on the ‘Party’ theme. Do you think this is suitable for children's party packs? Explain your answer. The traditional recycling symbol seen below has been redesigned based on a party theme. 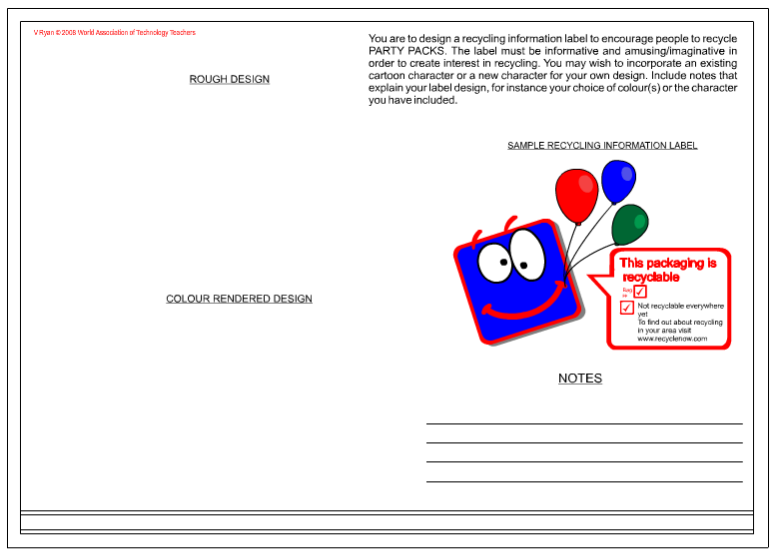 Do you think this is suitable for the packaging of party packs? Explain your answer.